In our opinion, there is no greater vote of confidence you can give to a bike builder than picking up a bike on a Saturday night and then leaving Monday morning on a bike ride across the country. 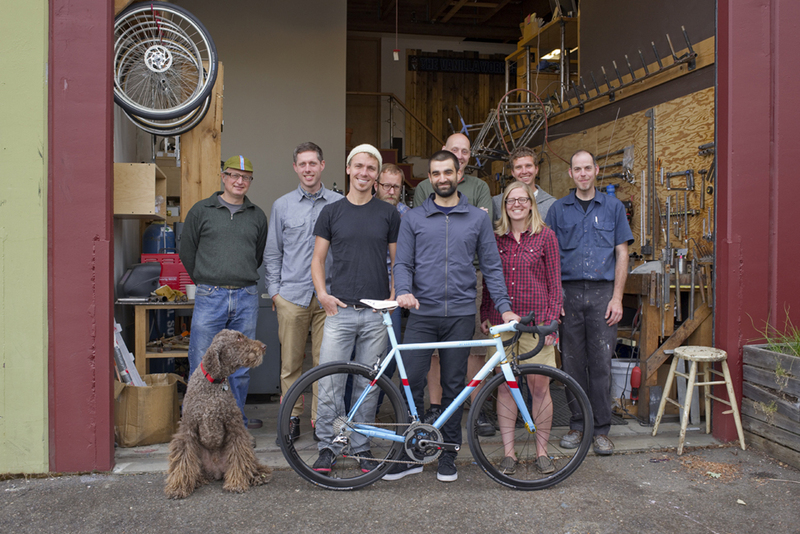 After months of discussion, personalized fit sessions with Sacha and working through the details of design and fabrication, we picked up the LIOTR special edition bikes and rode across the United States. Now the Vanilla Workshop is making this bike available for purchase, with the proceeds going to the Colon Cancer Alliance. We'd like to say a huge thanks to component makers Enve Composites, SRAM, Chris King, Sugar Wheelworks and Continental Tires for their generous support in the build of these cancer-fighting machines. The Vanilla Workshop has graciously agreed to donate proceeds from the LIOTR edition Speedvagen to the Colon Cancer Alliance. Hit them up for more info.